The mission of the San Marcos Cinema Club - as a film society that cares about both film & society - is to cultivate a community unified by a shared desire to explore our collective knowledge & insights via motion pictures. Through cinema, we aim to spotlight issues of social justice, art & cultural heritage, particularly among populations historically excluded from traditional narratives. We hope to bring together diverse residents in San Marcos via free, accessible film screenings & multimedia collaboration, especially in treasured local institutions, such as community centers, libraries & small businesses. 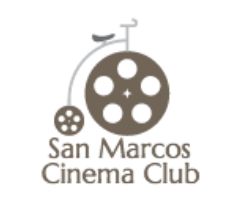 ​As general intern for the San Marcos Cinema Club, I oversee various logistical tasks associated with planning and programming for monthly events as well as the upcoming Lost River Film Festival (more information below).